Cranston, once known as Pawtuxet, is a city in Providence County, Rhode Island. It has the second most single family home sales in Rhode Island every year and is the third largest city in the state with 80,000 residents. The median home value in Cranston is $212,300. An urban hub outside of the capital city of Providence, Cranston boasts two of the most dynamic shopping centers in Rhode Island, The Garden City Center and Chapel View, which are both coincidentally within walking distance from the Matt Patty Team's spacious office located at 1170 Pontiac Avenue. In the central and "eastern side" of Cranston neighborhoods like Eden Park, Auburn, Friendly, Stadium and Edgewood contain mainly older homes, including some with price ranges as low as $125,000 and all the way up to multi-million dollar direct waterfront properties, off Broad Street and nearby Pawtuxet Village. To the west, bordering Hope, Scituate, and Johnston, Cranston opens up and becomes an idyllic suburb characterized by larger lot sizes, new construction homes and peaceful renowned neighborhoods such as Alpine Estates, Ridgewood, Hope Farms, Wildflower, Maple Farms, Gray Coach Estates and other nicely developed, new construction plats. These neighborhoods are a piece of quintessential New Americana and a great place to "move up to". If you own property in Cranston and would like an instant, Instant Free Property Analysis then please check out the link and we'll get a property report automatically sent to your email within 5 minutes of application. 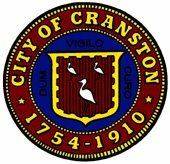 Cranston is a diverse, central city with many life-long supporters and patrons. The Matt Patty Team's "hub" is located right outside Garden City, so whether you are buying or selling you've found your Dream Team in Cranston.